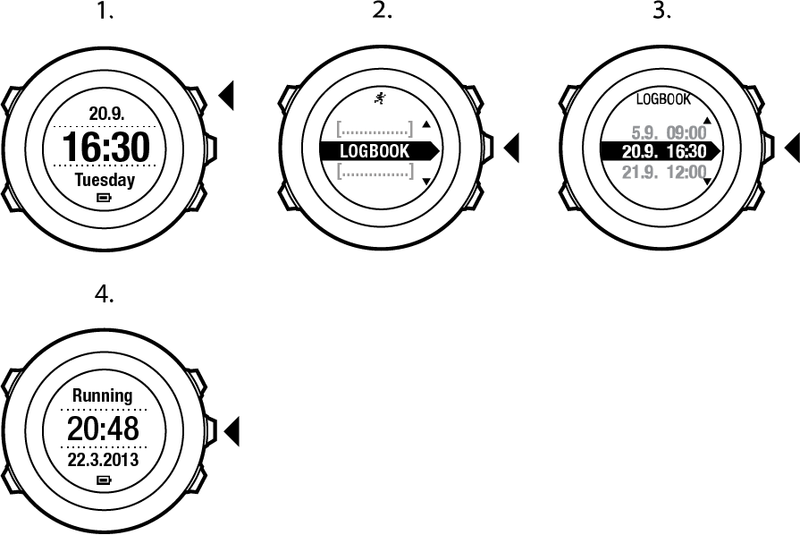 If more than 50 % of the watch memory has not been synchronized, Suunto Ambit2 displays a reminder when you enter the logbook. 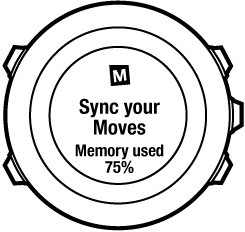 The reminder is not displayed once the unsynced memory is full and Suunto Ambit2 begins overwriting old logs. Suunto Ambit2 always shows your current cumulative recovery time from all your saved exercises. The recovery time indicates how long it takes for you to fully recover and be ready to exercise with full intensity. As your recovery time decreases or increases, the watch updates it in real time.